The book opens with the best ever inciting incident (I’m planning a story-writing workshop at the moment, so this is a phrase I’m very familiar with! ): a text from a missing sister. “I need you. Please come.“ And of course, the sister does, getting on a plane to England with her father, leaving behind her mother and chronically sick brother. It’s not quite perfect for me. For one, we don’t get to meet the kids Jenny was looking after, and I feel this is a missed opportunity. I can see they’d add more characters into the cast, but equally, Jenny’s job was to look after them, and Hannah and her father stay on the estate – so how come they don’t feature in the scenes? My second issue concerns something Hannah does towards the end of the book. I can’t say what it is, but it’s monumentally stupid, and in that moment I didn’t believe it. At that stage of the book, when we know Hannah so well – I just didn’t believe it. I know why it’s there, and as a plot device it’s absolutely necessary, but…I still don’t think she’d do it! Minor quibbles aside, this is a really gripping, heart-thumping read that challenges the reader to attempt to stay one step ahead of the characters (unlikely!) and contains a couple of really wonderful teenage characters. And now I want my own hawk. 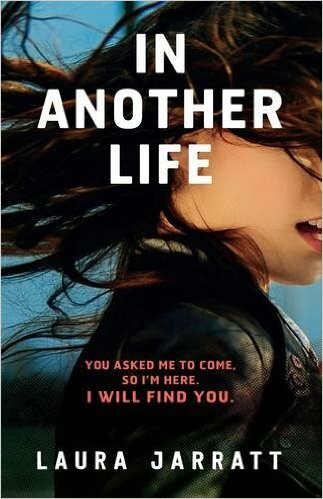 IN ANOTHER LIFE is published by Electric Monkey and is out now.